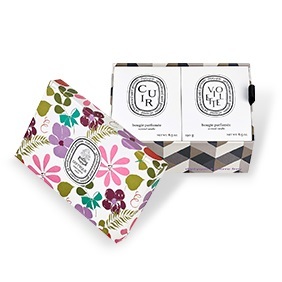 diptyque invites to you to play, to mix and match, and to create your own signature combination. 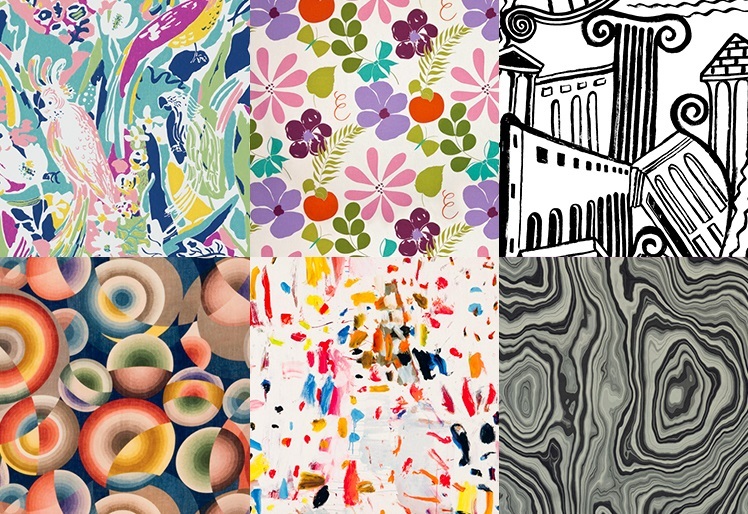 diptyque invites you to play, to mix and match, and to create your own signature combination. 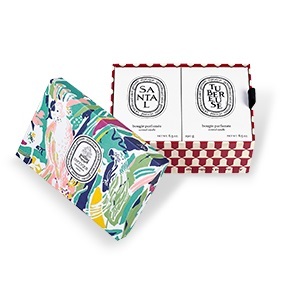 To introduce the scent pairings, diptyque created five, limited edition gift set duos, all decorated by Maison Pierre Frey, the storied French fabric and wallpaper house. The heady scents of lush jungle foliage… The memory of a trip to Asia, with its fragrant flowers and tree trunks hauled by mighty elephants. The woody, velvety scent of sandalwood is heightened by the heady, green accents of tuberose. The scent of the Greek Islands in summer: tree-lined paths wind through the hills above the Mediterranean. When the wind blows, the green, woody accents of the fig trees blend with the honeyed, resinous notes of the cypress trees. diptyque's founders always kept a leather pouch filled with artist's supplies nearby. Pencil leads and drawing paper left their scented imprint on the landscapes they sketched during their travels. This festival is held annually to mark the beginning of spring in the south of France. A veritable riot of blossoms, the festival closes with a flower battle, filling the air with thousands of multi-colored petals. Night falls on the riad, a traditional Moroccan villa. In the courtyard, lanterns are lit near large bouquets of lillies. Beneath a tall palm tree, smoke curls up from the narguilé, the traditional water pipe. Tobacco, with its toasted honey scent, warms the scent of the white flowers, underscoring their spicy accents. 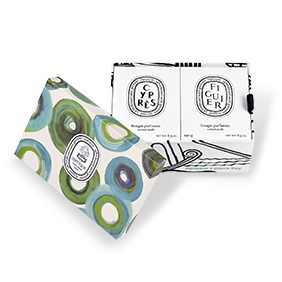 Through its collection of scented candles, diptyque seeks to preserve the universal memory of nature's scents. 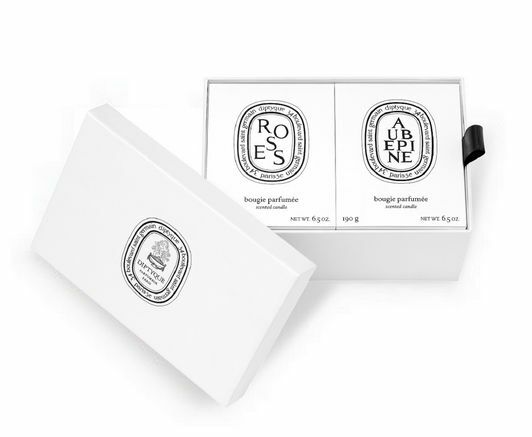 Candle after candle, an exceptional herbarium of scents has been created,a unique palette of nearly fifty candles. 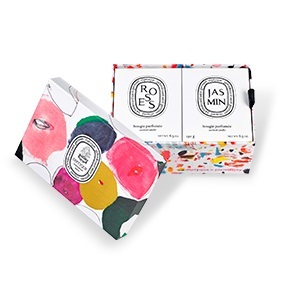 Each person can, by combining two of them, compose his or her own olfactory landscape. You can also compose a set of 3 small candles or 6 classic candles. Go to the set page.